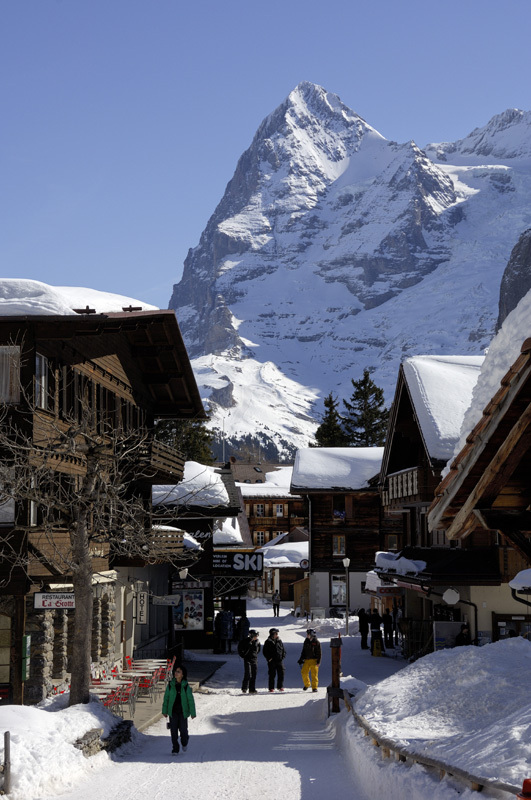 Mürren is one of the original ski resorts, developed by Brits in the '20s, remaining a favourite nowadays. There isn't a great range of skiing for all abilities, but 2 things draw people back every time. First is the stupendous scenery that provides views into Germany, France and Italy. Second are the black runs down from the Schilthorn and great off-piste at Blumental, which many advanced skiers find worth the journey alone. If you want more varied skiing you can slide across the Lauterbrunnen Valley. 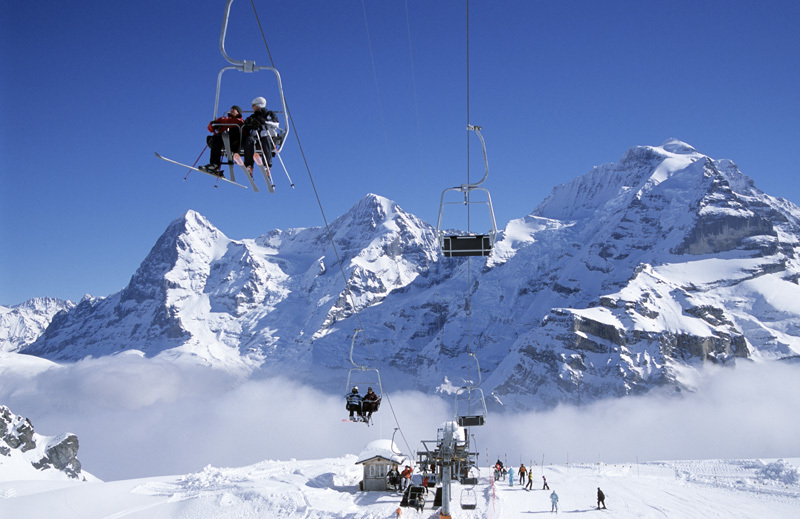 This provides access to the Wengen and Grindelwald slopes, which largely please the intermediate audience. This is best done in the week, as queues build up at the weekend. Add a small-but-stunning village, picture-postcard chalets and no cars and you have one of the great Alpine spots. 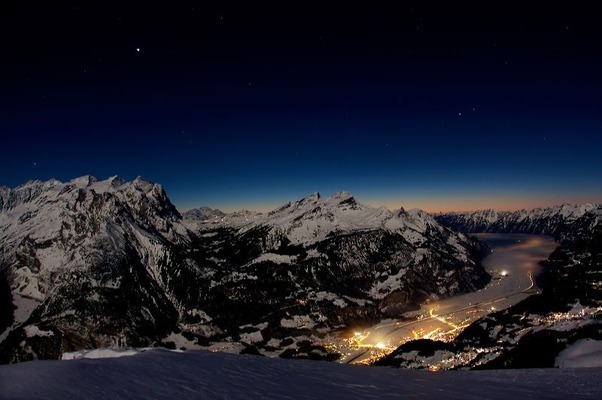 There isn't much to Mürren in terms of nightlife, but what there is really hots up at the weekend. During the day the non-skier might find themselves with a lack of activities. The mountain restaurants won't be winning many awards any time soon, but the hotel restaurants are more than adequate. Access to the village is provided by train or gondola, definitely adding to the Alpine ambience. The revolving restaurant, Piz Gloria (at 2970m) is as good a place as any to enjoy the views. 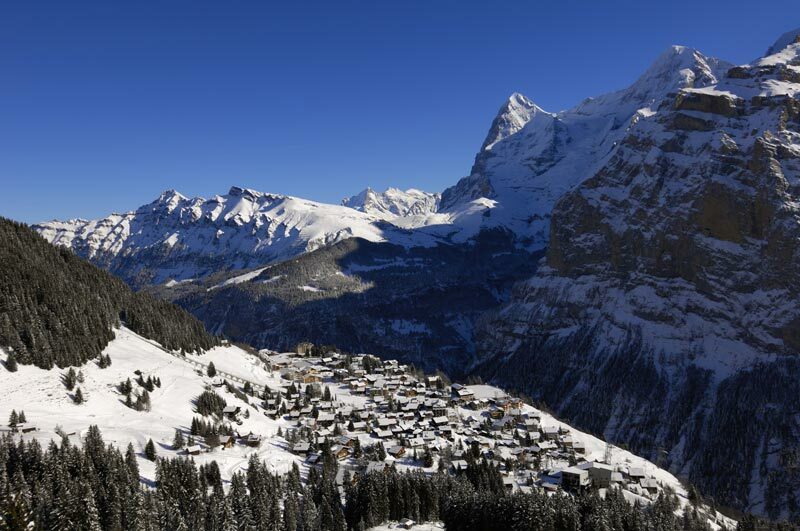 If for nothing else you really must try Mürren for the scenery.